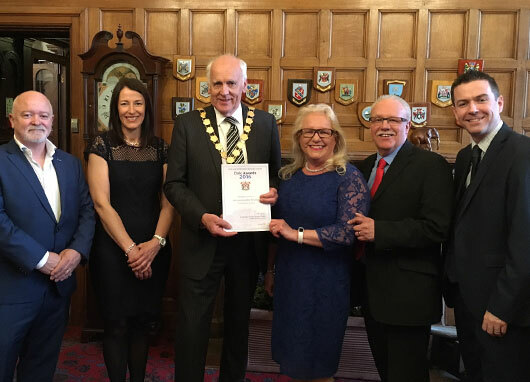 We were delighted to recently be presented with a Civic Award for Humanitarian Services by Ards & North Down Borough Council at a Gala Dinner in Bangor Town Hall. It was very special to receive this and we want to share this award with all our volunteers and everyone who has supported The Christopher McCollum Fund over the past 7/8 years. We sincerely thank the Council for selecting us and it was a lovely event to be at with 5 other worthy award winners. 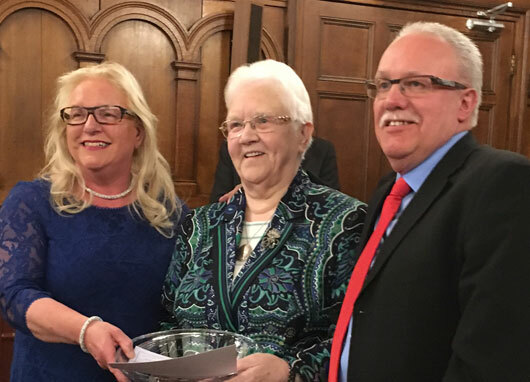 As well as a certificate presented by the Mayor, each award winner was given an engraved Tipperary crystal glass bowl by Baroness May Blood, who was the Keynote Speaker. The main thank you should go to Paula Galloway for not only thinking about the charity but also for then nominating us. It was good to have Paula with us at the event along with Brian Cassidy and Damian McCluskey as they all are supporting the charity so much this year. We have many memories of Christopher enjoying Council events so to then hear Mayor Alan Graham say how "in Christopher’s memory, the charity is purchasing equipment for young people with disabilities or life limited illnesses, as well as funds for research into Duchenne Muscular Dystrophy”. As Gerry said on the night, it meant so much to us to be in Bangor Town Hall receiving this award as Christopher was born only a short distance away in Bangor Hospital almost 32 years ago but also as we are now approaching his 15th anniversary in September, to receive this brings so much purpose to his life and the legacy he left behind. 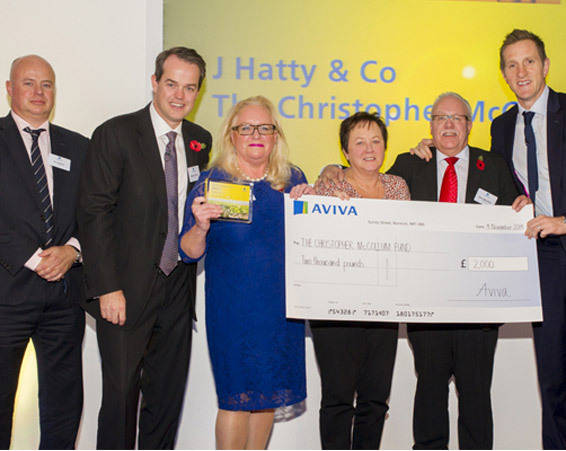 We were delighted to have recently attended the Aviva Broker Community Fund Awards in The HAC Headquarters in London along with 23 other UK winners. It was also great that our Committee Member Sandra Curran was able to join us. 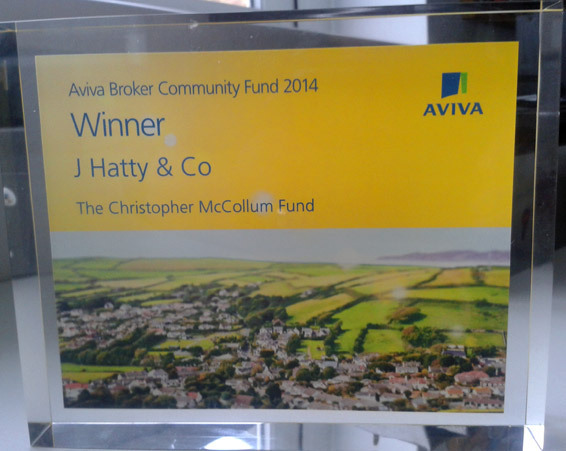 Aviva had asked their brokers to nominate a local charity/project and we were nominated by Paul Hatty of J Hatty & Co, Bangor. 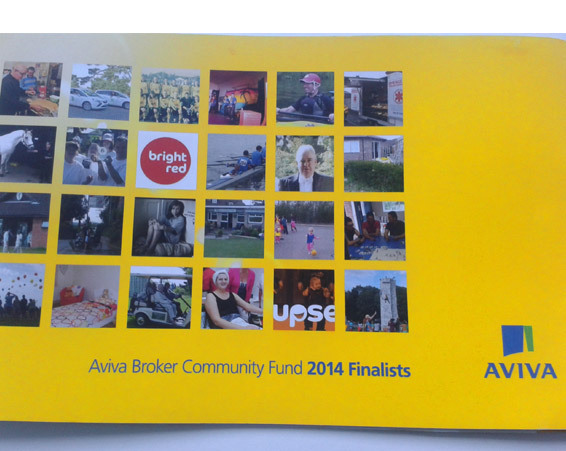 We were in the final six in our category “Supporting Health & Disability for Children”. This was wonderful recognition for the charity and our sincere thanks to Paul for his support. 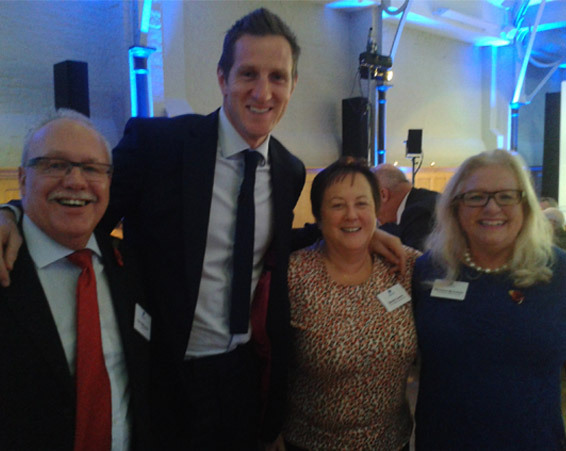 Our thanks also to Aviva for choosing us to be part of this very special event, hosted by their Community Fund Ambassador Will Greenwood, former England Rugby World Cup Winner and British Lion, who presented us with a tremendous cheque for £2,000. Before each presentation video footage was shown of the work of each charity. It was very emotional for us to see a photo of Christopher, together with some of the young people we have helped, finishing with a video of a young boy walking in an Upsee. Once again we thank our volunteers and everyone who has supported the charity, as without this support none of this would have been possible. UK Campaigners of the Year Award! 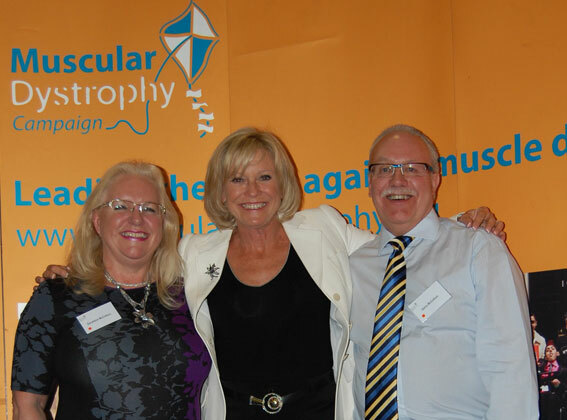 Gerry and Geraldine were recently awarded UK Campaigners of the Year 2012 by the Muscular Dystrophy Campaign. 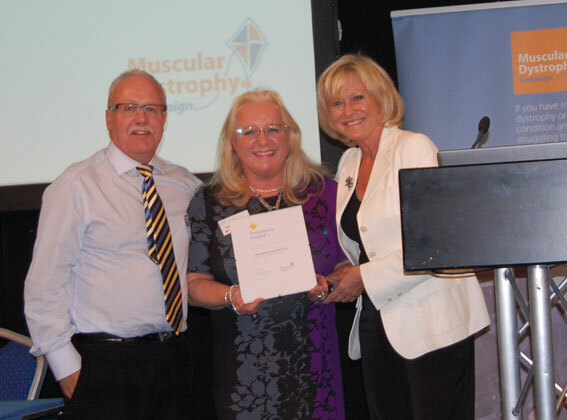 This is one of their Annual President’s Award and was presented to them by Sue Barker President of MDC. Following on from The McCollum Report we feel this is another tribute to Christopher. We dedicate the award to him and the inspiration he was for us to continue to campaign for better care and support for everyone with a neuromuscular condition. We thank MDC for this. 100% of all donations go towards helping improve the lives of young disabled people.